Formulated and clinically tested by Isaac Elias M.D., L.Ac. 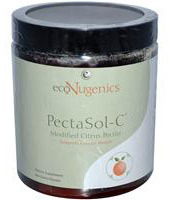 PectaSol® is protected under U.S. patent Nos. 6,274,566, 6,462,029, & 7,026,302.